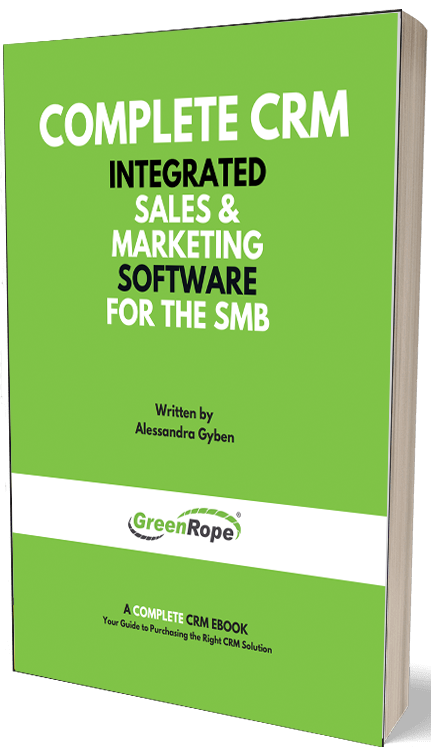 Blog and News | GreenRope :: Using Customer Feedback for Business Growth! Customer feedback is powerful. The more you know about the thoughts and feelings of your customers, the better off you are. However, it is not just enough to collect this knowledge, it is putting it to use that makes the difference. But before you start sending out surveys, calling customers, and offering specials for feedback, there are a couple things to think about to really maximize the power of this collected information. 1. What are your goals? Why are you collecting this data? 2. When are you going to be collecting this data? Will you ask before the purchase or after they convert? We’ve all heard the saying, “timing is everything.” This is even truer for gathering customer feedback. You do not want to bombard the customer once they shed a hint of interest in you, but you also do not want to let yourself slip their minds. So, when do you ask for that feedback? This is largely going to depend on the type of sales process you have. Shorter sales cycles require a quicker follow up, while longer sales cycles allow you to develop relationships before you ask for feedback. Reaching out to repeat customers is also another way to get great feedback on why they came back. Use technology like CRM to identify these repeat offenders. It is also important to let the person you are reaching out to know that their opinion matters. Tell them that you want their feedback to improve, grow, and provide even better service to them the next time they work with you. 3. How are you going to collect the data you are searching for? How are you presenting it? Feedback comes in many forms, as do the ways you can obtain it. Whether it is directly from the horse’s mouth or from surveys, the information you retrieve is a valuable resource for positive change. However, this desire to take feedback and actually make a change with it is deeply embedded within the culture of the company. Team members should feel empowered to get out there, connect with customers, and commit themselves to finding out more and excelling. The more knowledge you are armed with, the better you can make your customer experience. 4. Waht are you going to do with this feedback once you get it? Once you receive the feedback you can’t just toss it out the back door. That completely defeats the purpose. Now is the most important time to analyze the feedback you’ve received, sit down with your team, and discuss how you can improve based on this newly acquired information. First and foremost, once you get the feedback, thank those that gave it to you. Let your customer know that their opinions matter. Next, it is time to sort through your responses, acknowledge trends, point out specific responses and put together a strategy on how to react. For example, if a number of your customers wish that you had a weekly newsletter to stay informed on new promos and deals, you should probably initiate a more frequent email marketing campaign. Perhaps, a few responses said that checkout took too long. Find a way to solve this issue. Add in another cashier, or equip your team with portable card readers so that your customers can purchase right then and there with the sales person they were working with. As I have spoken about in a number of my blog posts, it is ALL about the customer experience, and you can only make it better if you know what your customers want. Make it a point to get customer feedback as often as possible. Embed it into your company culture. The companies who do, succeed.